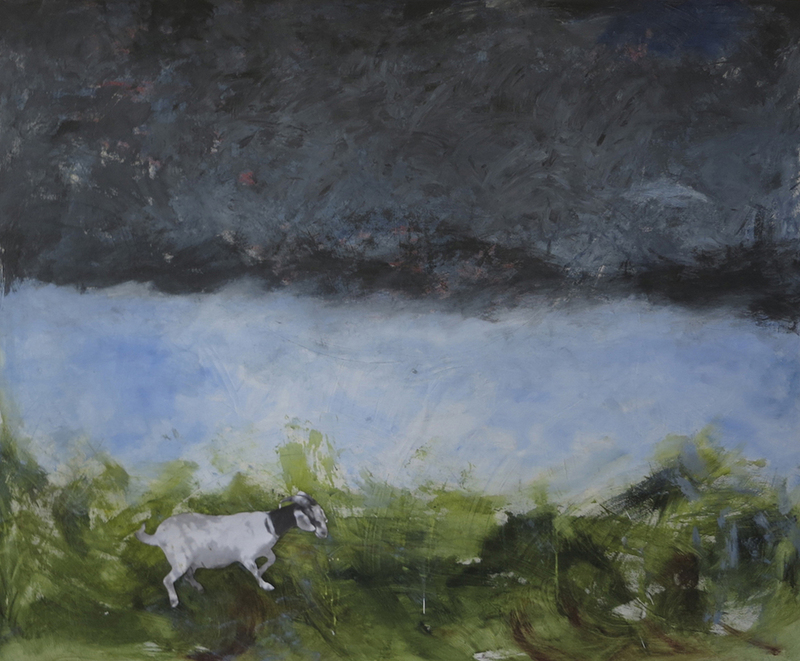 Barbara Frank, “Lone Goat, Hidden Blood,” acrylic on canvas, 54″ x 66″, 2014.
to ward off sleep from spreading through his body. set forth into the thick wilderness of God’s law. you met each other with gratitude and love. you have placed under the bed. for the warmth of your skin. for the grip of your hands. for my planting in earth. for your face each day. from the grave in my heart. you go with me there.